Guy wire anchor kit for outdoor batting cage frames. Apply guy wire kit to each end of framework to prevent tension and weight of tunnel from pulling over outer frame sections. Keep net and cable suspension kit tight and square. Eliminates sag in cables. 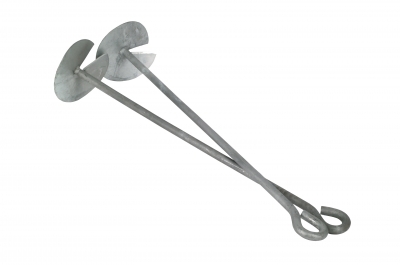 Batting Cage Guy Wire Anchor Kit for outdoor batting cage frames. Apply guy wire kit to each end of framework to prevent tension and weight of tunnel from pulling over outer frame sections. Keep net and cable suspension kit tight and square. Eliminates sag in cables.